My fudge story starts about two summers ago, when my mother took me and my siblings to Hershey Park. At some point, we went into one of the (seemingly millions of) little shops that line the entire park, begging the tourists, or perhaps quietly enticing them to spend more money they have on pretty much every conceivable gimmick with some animated-looking Hershey’s candy splashed all over it. Don’t get me wrong. I love souvenirs, so I’m not complaining. I willingly pranced into every store I could. Who needs roller coasters when you have mini slinkies decorated with happy looking chocolate bars? But I digress. At some point we walked into a little shop, and by the smell of things, it was clear that this store was different. Their products didn’t have pictures of chocolate. They sold chocolate. Most notable, as you can imagine, was the fudge. Trays and trays of perfect little squares. Every color imaginable, and each was as enticing as the next. But alas, we keep kosher, so these weren’t going to work for my family. And there I was, looking wistfully at the delightful display of confections, when I notice the display of cookbooks. My face lit up, as you, my cookbook loving friend, can surely imagine. Being the very awesome mother that she is, mom bought me the cookbook. I’ve made loads of the recipes in that book, and enjoyed every one of them, but fudge was probably the highlight. Had I read about how to make fudge on the internet, I might not have considered trying the fudge recipes in this cookbook. But I didn’t. And so I made the most amazing homemade chocolate fudge. And I discovered that it’s not only an easy task, but people look at you like you’re some kind of a domestic goddess when they hear that you made it. Don’t believe me that it’s easy? Check out the list of ingredients. Go ahead, scroll down. I can wait….. See? What are you waiting for- make it. Now. Line an 8 inch square pan with foil and grease it well with butter or cooking spray. Set aside. Fill a small pot halfway with water and bring it to a boil. Choose a heatproof bowl that fits over the pot (double boiler style) and pour the condensed milk into it. Break the chocolate into squares and add it to the bowl. Place the bowl over the boiling water and turn flame to medium-low. Stir frequently until the chocolate and condensed milk are melted together and smooth. Pour the mixture into the prepared pan and place in the fridge for a couple of hours until completely set. 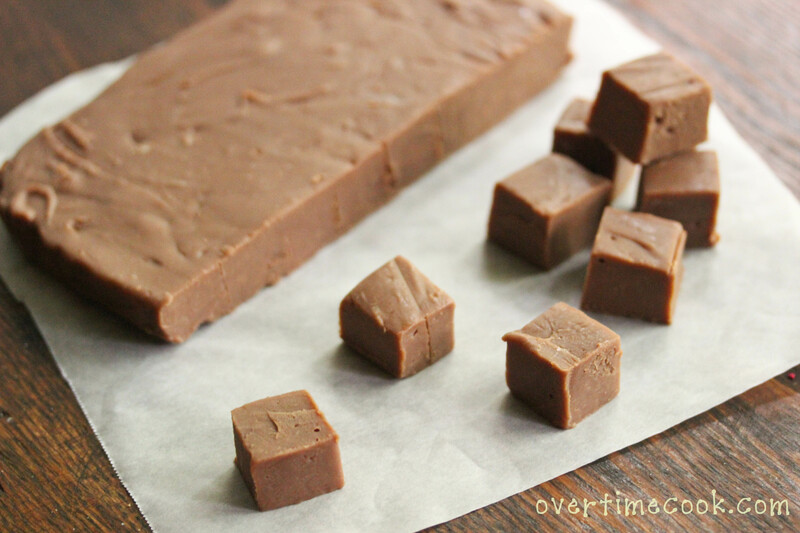 Remove from pan and cut into small squares (don’t make the squares too big, as the fudge is very rich!). Store in the fridge. Serve cold. can you buy cholov israel condensed milk? In the recipe that you linked for sweetened condensed milk she says to use 1 c condensed milk, where can I buy that plain, and the bakers choice one that you mention would that be found in the baking aisle of say Rockland Kosher? It calls for powdered milk, not condensed milk. They sell it in rockland kosher, near the coffee and tea, etc. The pre-made sweetened condensed milk is sold in a little jar under the name condensed cream. The problem is that the jar is about 10 ounces, and the recipe calls for 14, so it’s hard to figure out exactly how much to use. Hmmm. That was easy. You might have convinced me to try fudge 🙂 I’m pinning this so I can try it for my Christmas good plates. If it makes the cut, I’ll let you know 🙂 Happy eating. So easy…I’m definitely making this!! Thanks! It’s on the way into he fridge now, but that was super easy. Looking forward to tasting. 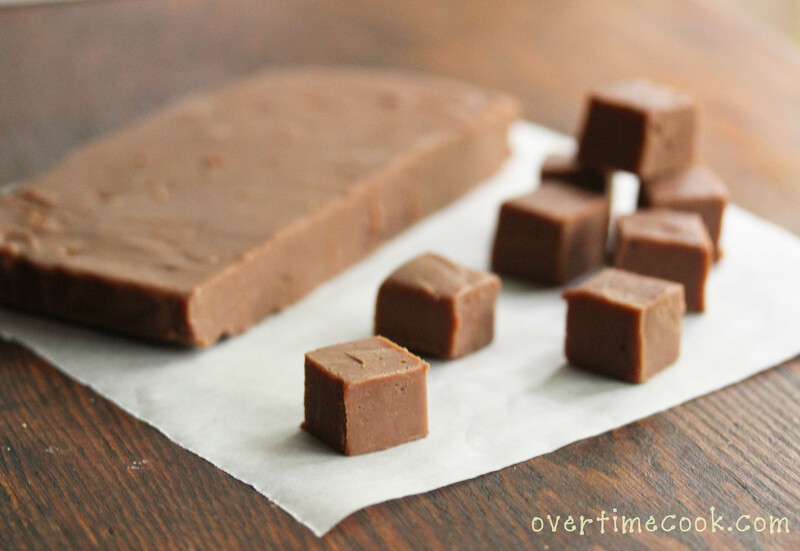 Yum and I cannot wait to try your recipe because my fudge never sets…… Thanks again Miriam for help in my kitchen! 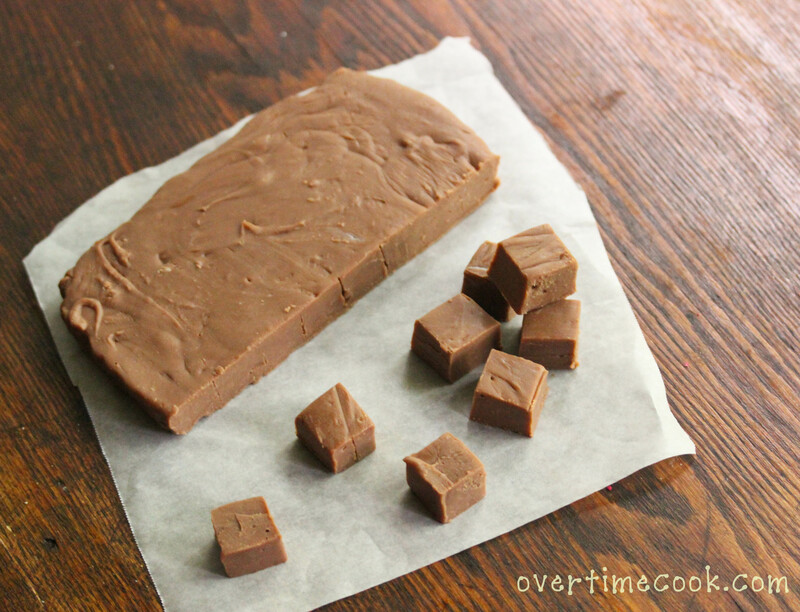 Can your fudge recipe be done in the microwave? I’ve never tried it so I can’t say for sure. What kind of bowl did you use over the boiling water? Would a metal bowl work? The fudge they sell at that little Shop inside Hershey is actually kosher. And it tastes as good as it looks. Just ask to see the certificate when you go in there next time!